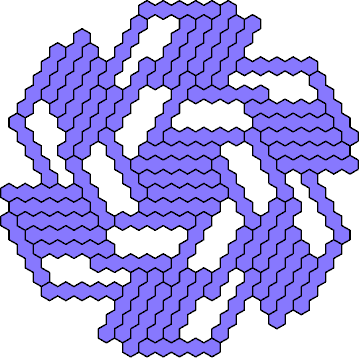 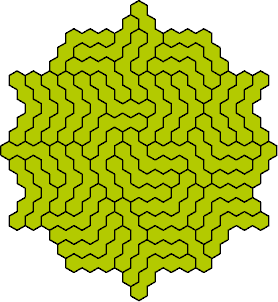 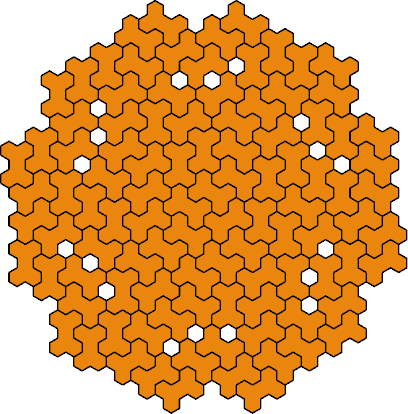 A polyhex oddity is a plane figure with binary symmetry formed by joining an odd number of copies of a polyhex. 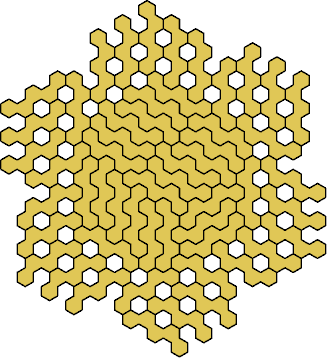 Here are the minimal known oddities for the trihexes, tetrahexes, and pentahexes. 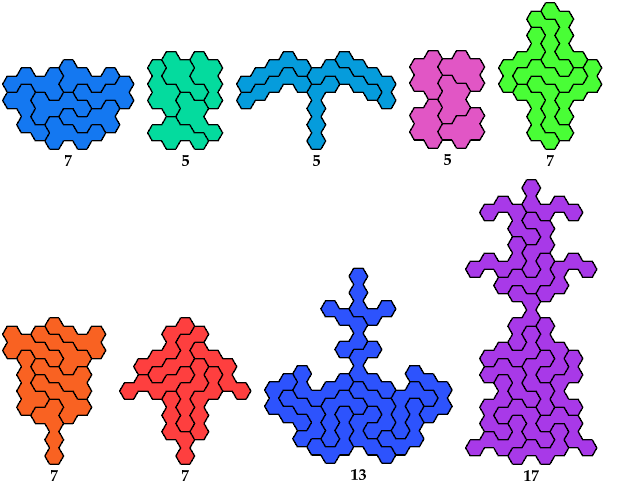 Please write if you find a smaller solution or solve an unsolved case. 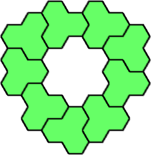 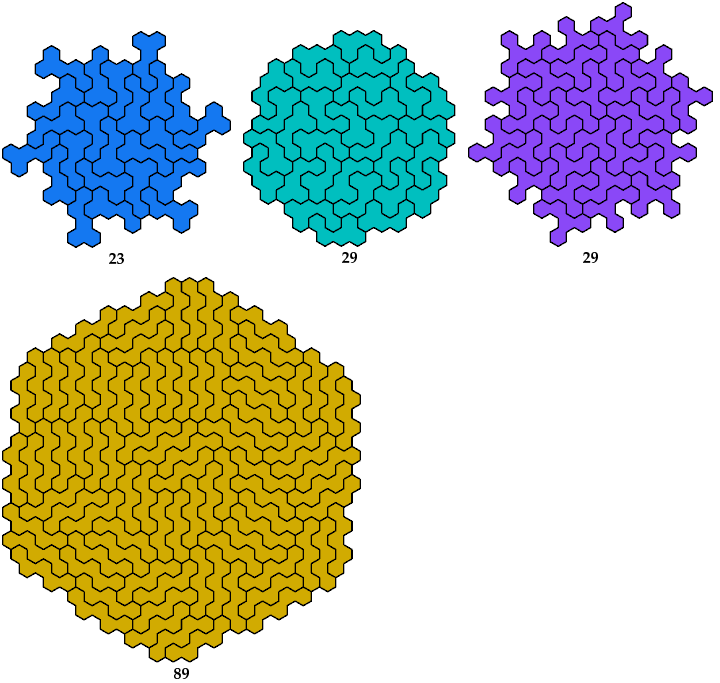 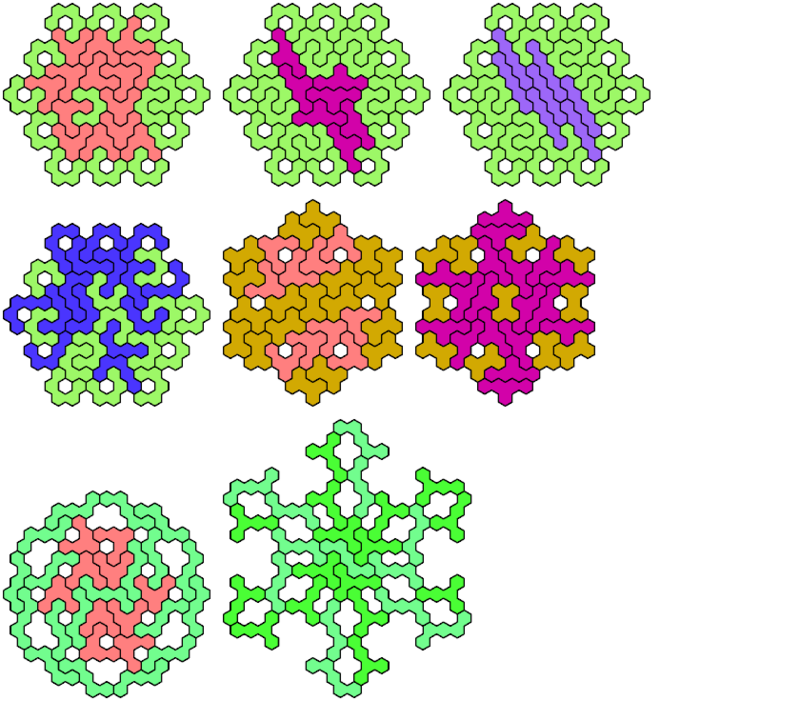 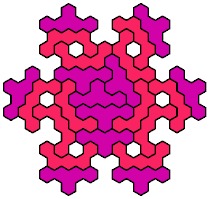 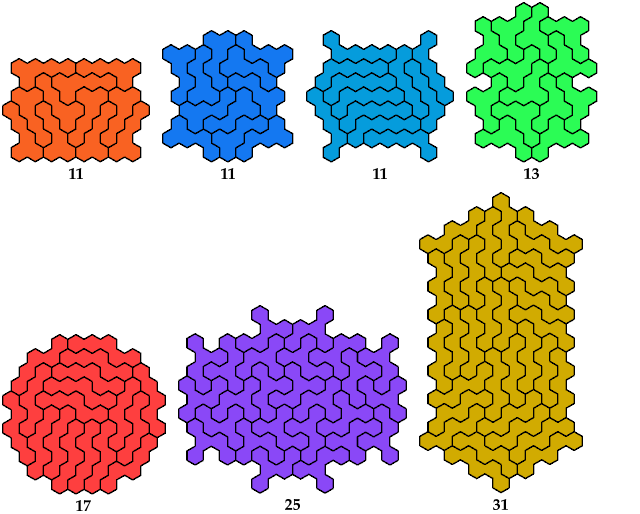 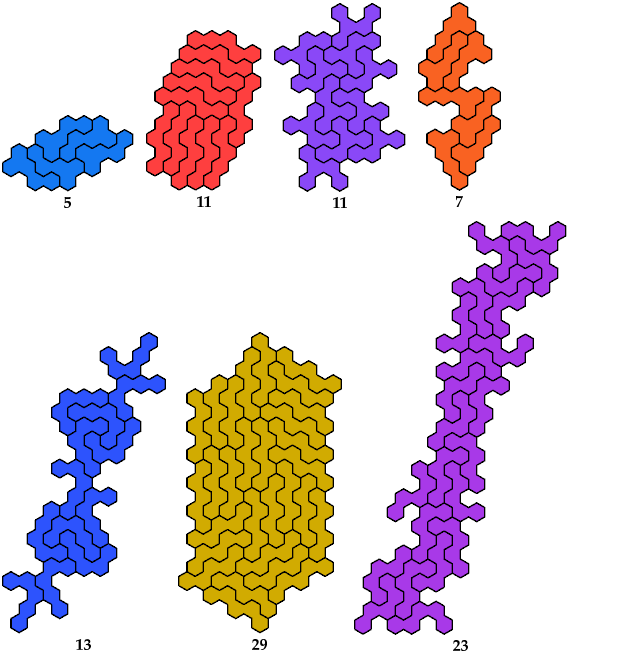 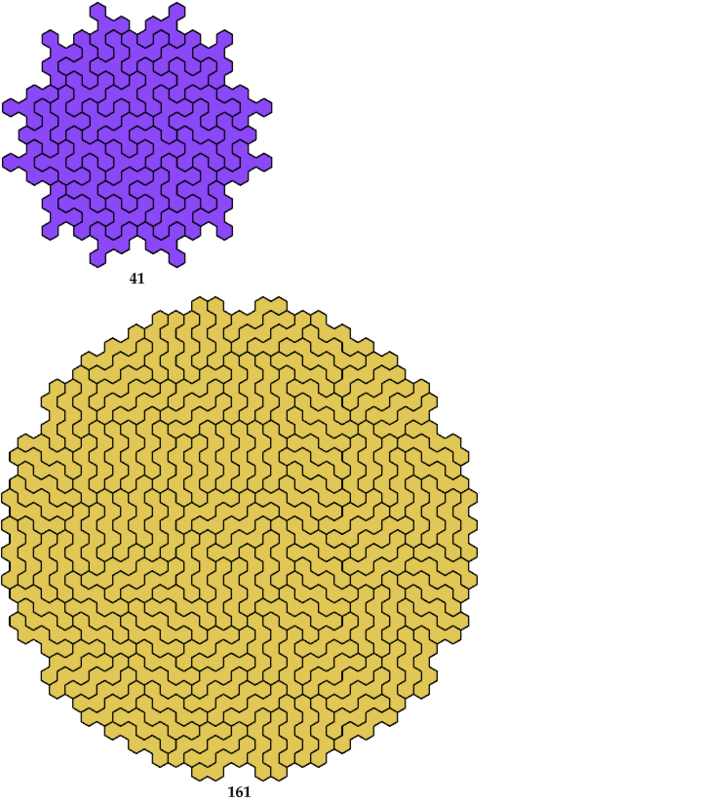 For hexahexes, see Hexahex Oddities. 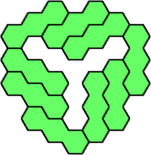 Mike Reid proved that the O and S tetrahexes have no sexirotary oddities. 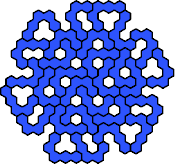 Pentahexes are tricky, so I got help from Mike Reid. 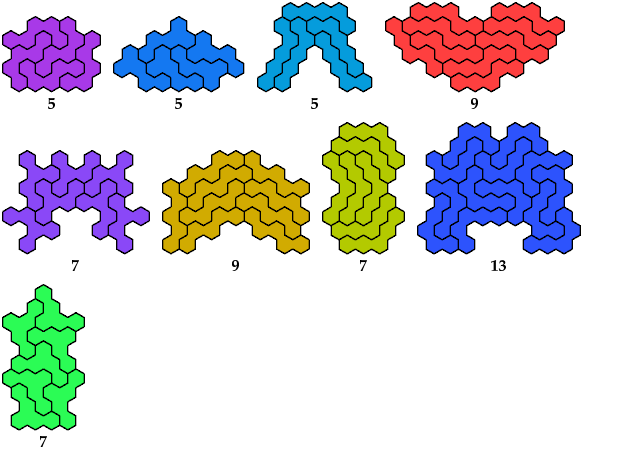 Click on the gray figures to expand them. 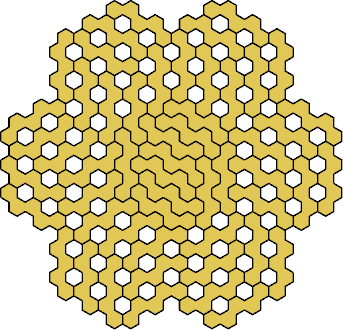 Some pentahexes without oddities for certain symmetries can be paired to form oddities. 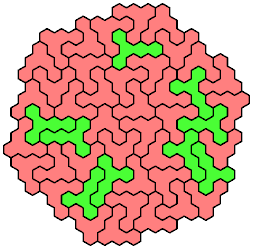 These tilings are irreducible and have more than one tile.